According to National Youth Violence Prevention, a schoolwide commitment to Bullying Prevention reduces the act of bullying by 50%. It is very encouraging to learn that all the efforts, by many organizations and concerned citizens, have been making an impact on our youth! PLEASE CONTACT US DIRECTLY FOR QUOTES ON ORDERS FOR 5 OR MORE PRODUCTS! False! According to the National Center for Health Statistics, this is actually a time when suicide rates decline. However, media tends to promote the idea that suicide rates increase during the holidays. Unfortunately, this can really hurt those who are depressed by giving them an “out” with a copycat mentality. others what we might not normally do throughout the year. What does this tell you? Personally, it makes me realize that compassion saves lives. During this time of year, we love to pull a glove off of the school’s Christmas tree and provide gifts for those in need. We tend to be more generous with our gifts and our time. We volunteer to bring meals to those in need. We hug more and ignore other’s needs less. My Christmas Wish this year is that we can all hang on to that “Christmas Spirit” throughout the New Year and bring compassion to so many who are hurting so much that they contemplate taking their own lives. One act of compassion can actually save a life. To me, there is nothing more important. I wish you a very Merry Christmas and a Compassionate New Year! Are you getting tired of these bullying posts? How far would you go to aggressively bring awareness to a cause that could have potentially contributed to your own brother’s suicide? I am doing everything in my power to do whatever it takes to prevent another senseless death. Google “suicide caused by bullying”. Really, google it now. Yes, it is heart breaking! How does that make you feel? Does it make you want to sit down with your child tonight and talk about bullying? Hopefully, you answered “yes” and part of my mission is accomplished! I believe, with all of my heart, that our efforts can save a child’s life. It is not in my power to reach children through this blog, Facebook or Twitter… nor is it my place. I can only hope I have provided you with the resouraces available to educate you on this subject. More importantly, I hope I have encouraged you to bring Bullying Prevention to your home! 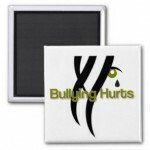 RememberMe-Gifts.com and RememberMe-Awareness.com will end Bullying Awareness Month with a final push to promote this cause. At the end of the week, we will sponsor a contest to bring as much awareness to this cause as possible. By providing an insentive for participation, it is our goal to to bring “true life stories” to the attention of as many people as possible. I have many educators following this blog. I recently spoke to a principal with such a passion for Bullying Awareness that it motivated me even further! Why not provide “true life stories” to these educators who can, in turn, share them with their students to bring about compassion and understanding about the consequences of bullying. I plan on sharing my heart-wrenching “true life story” just for this reason. I am hoping we can come together, as an on-line community, and fight this together. I can’t do this on my own… I will need your help! Please subscribe, by clicking the “subscribe” button above, to follow this week’s blog. Three Cheers for Big Bird! Scheduled to air today, October 17, Sesame Street will address preschool bullying. right… PRESCHOOL! Yes, it’s a fact that bullying starts at this age! Luckily, Sesame Street is addressing this aggressively when Big Bird joins The Good Birds Club after being a victim of bullying. Since October is Bullying Awareness Month, the timing of this programming is perfect! Also, on October 18th & 21st, Sesame Street will teach children to be proud of who they are and be more accepting of others. When children are proud of themselves and see the good in others, the bullying mentality can be subconsciously extinguished and replaced with hearts that cares for their peers. As always, great job Sesame Street! According to National Youth Violence Prevention, a school-wide commitment to Bullying Prevention reduces the act of bullying by 50%. It is very encouraging to learn that all the efforts, by many organizations and concerned citizens, have been making an impact on our youth! 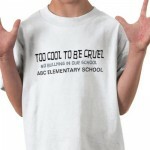 There are a variety of classroom activities that encourage participation in the bullying prevention movement. One activity, targeted towards elementary and middle school students, encourages teachers to involve students in creating classroom rules for bullying. Once the rules are established, each child signs a petition. PacerKidsAgainstBullying.org has a contract that can be printed out at http://www.pacer.org/bullying/pdf/ele-starting-the-discussion-files/KABPledge.pdf. It is a great idea to have these contracts signed by a parent or guardian, thus enabling communication at home. Having a classroom or school-wide poster contest is another great idea. The winner of the contest receives a small prize or has their poster displayed in the school’s office. Hanging these posters throughout the school not only promotes awareness, but allows children to showcase their creativity. There are many free online games and educational materials available. PacerKidsAgainstBullying.org has designed their website specifically for younger students. Students can play games, watch videos or participate in polls. PacerTeensAgainstBullying.org is also an interactive website for high school aged students. 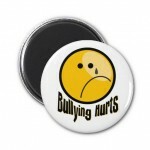 RememberMe-Gifts.com and RememberMe-Awareness.com continues to accept donations for our Bullying Prevention campaign. It is our desire to supply elementary schools with Clever Catch (R) Bullying Balls. For more information, please click here. I have been focusing much of my attention on Bullying Prevention Month and raising awareness for this worthy cause. Unfortunately, these efforts have been temporarily interrupted due to my heavy heart after learning of two recent suicides that affected many locally here in Nebraska. After receiving these calls, I am overwhelmed with emotion. I get extremely frustrated over the fact that these deaths are so senseless. Then I’m hit with realization that so many are grieving, a very different and difficult grief, due to these deaths. Suicide Prevention and Grief Resources have been added to RememberMe-Gifts.com today. It is my desire to have resources readily available for those in need. I am very close to one of the families who are now suffering due to the suicide of a loved one. I can only hope that these resources can help them and many others who are dealing with this grief. Even though my focus has been on preventing teen suicide, I am broadening my efforts, as both of these suicides deaths were adults. There are now spouses and children left behind to deal with this, what appears to be, insurmountable pain. However, there is help and there is hope for these families. I will continue to research and provide valuable resources to help and encourage those in need. I will continue to pray for the families currently dealing with this tragedy. I am extremely excited to welcome elementary, middle and high school educators to my blog. Since October is Bullying Prevention Month, I thought it would be a great way to communicate our ideas and come up with strategies as to how to protect our youth from the devastating consequences of bullying. I have found many useful articles and free educational ideas that I plan on sharing throughout the month. 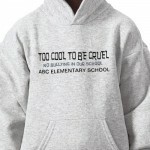 Please visit http://www.rememberme-gifts.com/category_94/Bullying-Prevention-Month.htm for further details. I believe this will be a valuable resource, not only for educators, but for parents as well. Our schools can only do so much. We do not want our children to be victims of bullying, but just as important, we do not want them to be the cause. Please share this blog with those who are involved in children’s lives. The only way to make a difference is to be involved.